The most beautiful of all buildings in the congested Nizamuddin Basti, it is also the most ignored. Most visitors to this 14th century village, named after a sufi saint, head straight to the saint’s shrine. 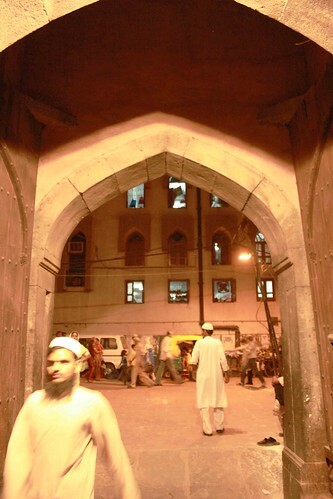 A few are likely to notice Urdu poet Mirza Ghalib’s tomb that lies on the left of the principal street. 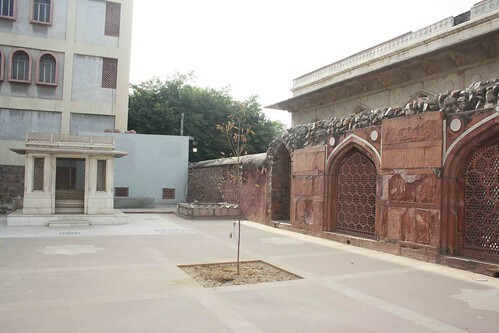 Hidden behind this mausoleum is the marbled Chausanth Khamba (circa 1624), the rare Jehnagir-era monument in Delhi, so well-preserved that it does not look old. 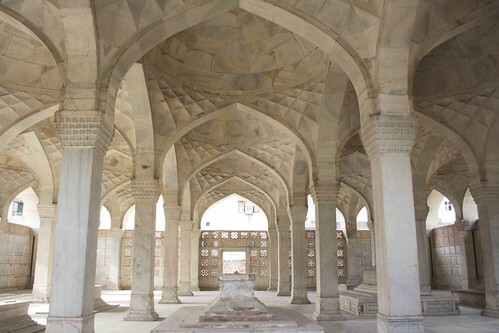 Built by Mirza Aziz Kokaltash, a foster brother of Emperor Akbar, Chaunsath Khamba is so named because 64 pillars are said to support its roof. You will, however, count only till 36. These pillars join the roof in a soft, sloping harmony. Inside, the hall has ten tombs, two of which belong to Kokaltash and his wife. The rest could be the other members of the family. 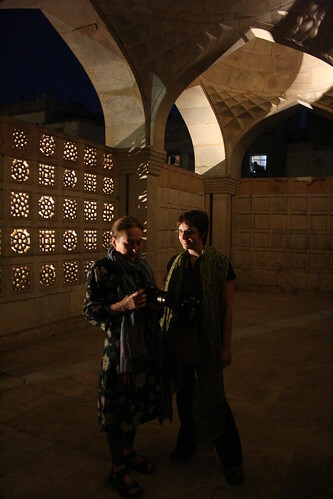 Since the walls have stone jaalis, sunlight falls through the latticework making embroidered patterns on the marble floor, as well as on the tombs. 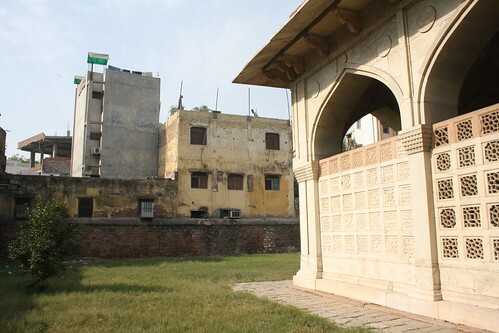 Outside, towards the Ghalib’s memorial, there are more tombs. 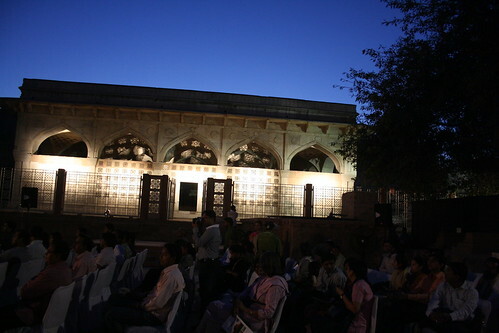 Chausanth Khamba faces the open courtyard of Urs Mahal, a venue for cultural shows, which remain empty except in evenings when boys come to play cricket. 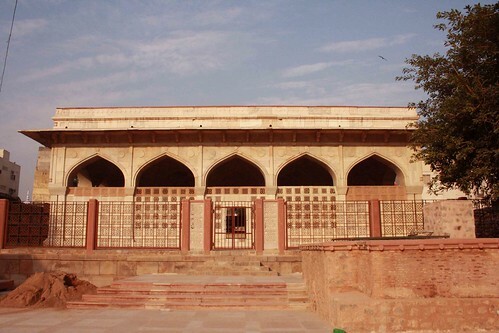 Ghalib’s tomb, too, is usually bare. Amid the desolation, the monument feels as isolated as the North Pole, yet it is close to the civilization. Surrounded by the Basti’s jagged skyline, the sounds of households and alleys – children crying, women laughing, hawkers yelling, men arguing, pressure cookers whistling – waft inside the pillared hall where they echo as softly as temple bells does on a hilly countryside. You feel meditative and far from the worldly temptations. i visited Nizamuddin shrine last Sunday.It was in the early hours of morning that I visited the Shrine,urs mahal and Chaunsath Khamba respectively. The cool weather added to the pleasure of the experience.Bolted a meal from one of the eateries in the area(the pots were bubbling,exuding a delicious aroma). Then i headed towards Humayun’s tomb where I beheld the beautiful sight of a peacock dancing in one of the chhatris(one which still has fragments of blue tile-work). All in all,it was great! When did this gate and the fence got erected around the building..?! I can almost feel the quiet… real treasures these.